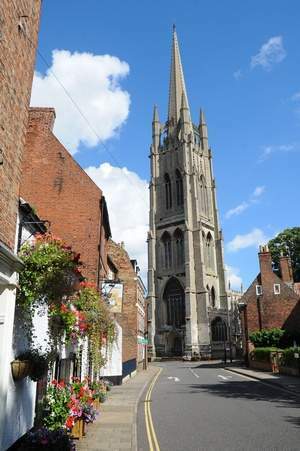 Louth is certainly riding high and has been listed by a leading national newspaper’s daily and Sunday papers as one of the best places to live in Britain. It seems the rest of the country is just beginning to realise what we in Lincolnshire have always known, that Lincolnshire's a great place to live with fantastic towns and villages ... and Louth proves that. 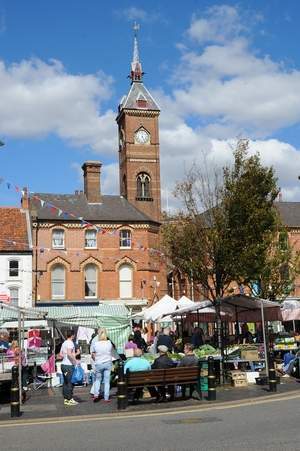 After winning the BBC Countryfile vote as Britain’s Favourite Market Town for 2012, Louth was named by the Sunday Times as one of two Lincolnshire towns to qualify as a ‘best place’. The other Lincolnshire town is Stamford, which gets the paper’s top billing. But Louth has also made it into the Times Top 30 Coolest Places to live in Britain, reaching number 12. Eleanor Mills, who composed the survey of 101 best locations, says of Louth: “A market town that still takes the ‘market’ bit seriously, Louth has open-air stalls piled high with local produce three times a week. Eastgate is an excellent place to find real food, including several proper butchers. Louth Town Partnership’s coordinator, Samantha Phillips, welcomed the latest accolade: “Increasingly Louth is gaining national recognition for its traditional market town qualities, especially its food and shopping experience. The survey took into account great shops, cultural attractions, crime statistics, school performance, life expectancy, house prices, transport links, proximity to Areas of Outstanding Beauty and community spirit. In good timing, a showcase of what makes Louth Britain’s Favourite Market Town has been included in a new tourist guide, produced by the Louth Town Partnership. The leaflet is a first for Louth as it is solely aimed to encourage visitors to the town, highlighting many popular tourist destinations. It was launched by the Partnership to coincide with English Tourism Week. People were able to pick up a copy of the leaflet when they visited a special tourism market stall that was set up on Friday March 22. The guide will be available in many tourist information centres in the East Midlands and will be taken to a county leaflet swap. The Partnership is also planning to meet with a group of 70 tour operators to encourage more coach trips to the area. Louth Mayor and Partnership Board member, Cllr Jill Makinson Saunders, has been instrumental in creating the guide: “It is time we started really shouting about what makes Louth Britain’s Favourite Market Town. We know that Louth is a lovely tourist destination, with plenty to do for the whole family, so our task now is to make sure others do too. “Louth has it all; boasting a vibrant three day market, an award winning food offer, a state of the art leisure centre, places for picturesque walks, the list goes on. The main objective of the Town Partnership is to encourage footfall into the town, which is achieved through Louth’s big event days. So it is hoped that this guide will mark Louth as a great all year round holiday destination. Well, the lastest lists and awards show they're heading in the right direction.